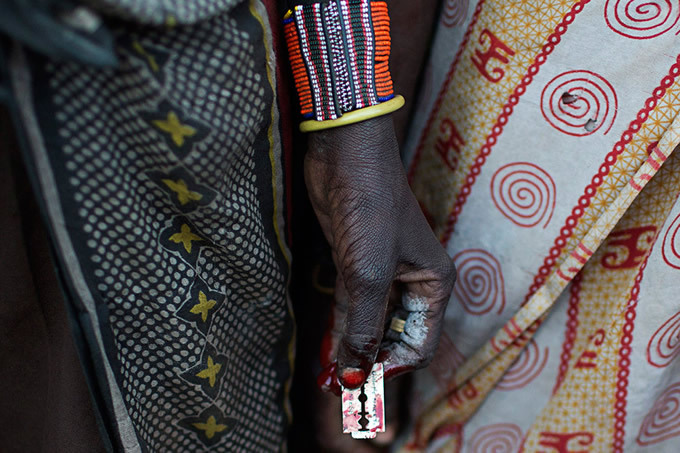 The world allover is about the campaign to stop the ordeal of Female Genital Mutilation (FGM) that mostly happens in some African tribes such as Embu in Kenya, Sebei of Uganda and Kenya among others. 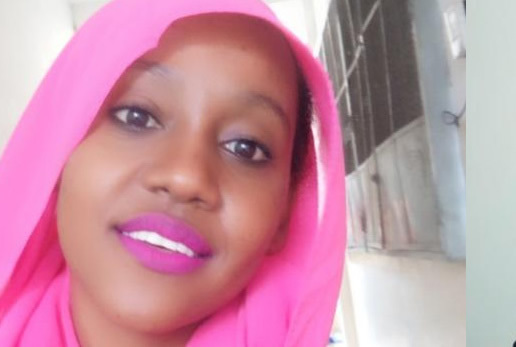 As I was making my research about weirdest cultural practices in the world, I came across this horrific but touching story about the experience of the 24 year old beauty from Kenya from the time part of her private area was severely cut out during her early teenage days till now. At 11 years, I did not know the effects of female circumcision and had could not imagine anyone was interested in mutilating me. My sister assured me all they would nip off was a part of the earlobe and that would be it. My curiosity was heightened by the fuss attached to the ceremony. They spoke about it all day, every day. Judging by the guests we received about the time, things were moving in high gear. Aunts and cousins I only heard about but never met showed up. That morning girls in my age bracket were rounded up and herded in a compound with a big hut in the middle. Women accompanying danced in frenzy, encouraging and assuring us everything would be all right. The place had an eerie gloom but I gritted my teeth, determined to prove to my clan that I would earn my place with dignity. Even at our tender ages, we did not want to be ostracized from the community; to be counted among the infamous inkhutatin (uncircumcised women) who would never find a husband. All for enduring a small cut in the earlobe. It was too easy to be true. Those in the hut knew and would never hurt me, I told myself even as my little bosom heaved up and down in fear. Maybe I looked more cheery that the rest because as fate would have it, I was the first to be shoved into the gloom of the hut. No sooner had I crossed the threshold than they landed on me like hounds. In that split second, I was only able to recognize my neighbor who held me by the waist and hurled me to the earthen floor. One woman, the fattest, sat on my chest. The rest quickly parted my legs. As I was fighting to shift the weight on my chest to breathe, I could feel my legs being spread further than they could go and a light was lowered to illuminate the area beneath my waist. They were gazing at my nakedness. I tried to kick out but a vice like grip held my legs. I could feel hands groping and then the most searing pain tore through my body as a part of me was sliced off. Despite the weight on my chest, I gathered up all the air in my lungs for an almighty scream but just in time, a hand covered my mouth and out came muffled groans. My groin area was on fire. Blood was oozing. They were still holding on to me, wiping the blood when the woman with the knife declared a portion had been missed and the knife was swung again. This time, I felt as though they had cleaved all the way to the pelvic bone. They then released me and like a chicken whose head had just been chopped off, I hopped about the place, blood oozing down my legs. They held me again, rubbed some herbs and allowed me to leave. I sat on a steaming pot for almost a month and unlike my initiates, was the last one to heal. Peeing was pure torture. Just a few drops would set my entire private area on fire. I finally healed and placed a mirror to survey the damage. It was horrific. They sliced off a part of my urethral opening in their zeal to cleanse me. I suffered migraines and avoided taking water for 13 years before a doctor performed a urinary dilation procedure to allow the passage of urine. I am now 24, worrying whether what I have left will be sufficient for a husband. I don’t even know whether I can get kids. 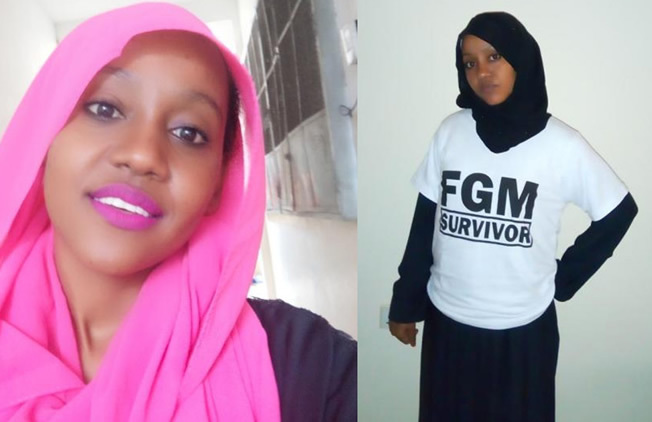 I have vowed to dedicate my life to fighting FGM in Isiolo County.